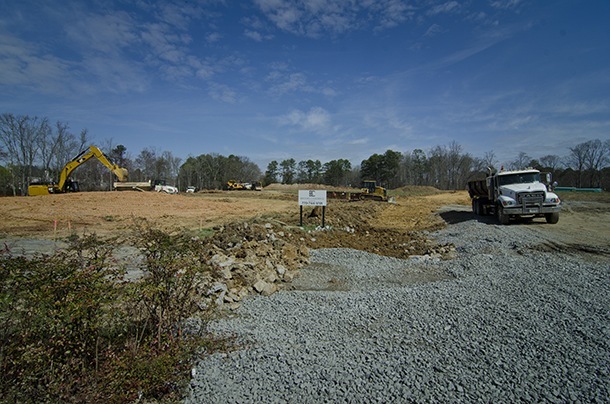 Last October, I wrote that land values were on the rise in North Metro Atlanta and recent activity reinforces that article with more certainty. This is great news for all of us, but especially homeowners who had seen land values drop by about 40% from the highs of the market in 2007. This upward trend was inevitable, but it's been my experience recently with several other pieces of land available that many buyers are still quite reluctant to accept this upward trend as reality. I think there are a number of reasons for the uptick in values. What this means is that if you want to buy land, yesterday was better than today and tomorrow it will cost you more. This is irrefutable at this point and barring another major downturn (very unlikely), will in all likelihood continue. It does not mean however that your home is worth more - just the dirt underneath it. There are other factors in play affecting the values of the existing retail inventory of homes not the least of which is new construction. Earlier today, we closed on this 2.5 acre property with a small brick ranch that will be torn down on Hopewell just north of Redd for $140,000. That's a sale at 56K an acre for a property with frontage on a fairly busy road with a bit of road noise to boot. Couple that with the fact that a portion of the property was in a flood plain and it would be easy to make the case that an ideal setting would easily fetch over $70,000/acre in today's market. If that's not enough, there was another recent sale on Mid Broadwell that is even more exciting. Barn image courtesy of NorthFulton.com. 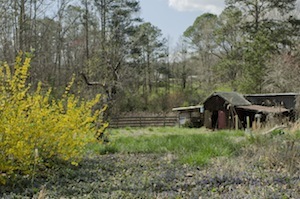 If you are familiar with Alpharetta, you may recognize this old barn on Mid Broadwell. 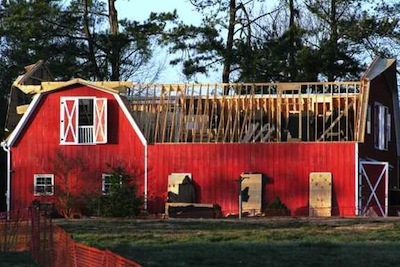 The barn is coming down and a new neighborhood called The Estates at Peyton Farm is on its way. I don't know how much the homes are going to sell for yet, but the old farm was 13 acres and it sold for 1.1 million dollars. That's a little over $84,000/acre. I know there are some who are sad to see it go (I am too), but it's a prime location east of the Crabapple Overlay and it was bound to happen eventually. Let's hope Brooks Chadwick Capital does a good job with the neighborhood. In my opinion, they got a really good deal for that location. Imagine getting some of the the feel of Milton without having to deal with the traffic to get to and from work caused by the bottleneck at that disaster of an intersection of Mayfield/Crabapple/Broadwell/Mid Broadwell/Birmingham Hwy! This is an acitve site and with all of the surrounding new construction selling as fast as they are building them, expect these to go fast. These two sales, along with a couple of others that I am aware of that are in the works show that there are buyers willing to pay more than the 30k - 35k/acre that prices had fallen to a year ago. Times have changed! There is also nothing really available to buy for less than $50,000/acre. Sure there are couple of "B" locations for about $40,000/acre, but you get what you pay for now. There are also quite a few overpriced properties, but there are a lot more in the $60,000 - $80,000/acre range now that have some comps to support the asking prices. Well, that's a little different and a little harder to predict - the new construction going up represents great value and they are increasing prices as they start new phases and that's a good thing. In the last week, I've talked with a couple of people who think that some of the new Wieland homes in Braeburn are overpriced. News flash - they are not overpriced for the market because they are selling. That's the way it works. 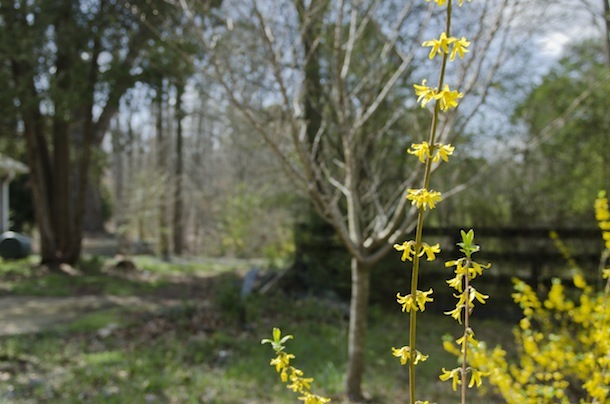 One of our buyer specialists has one under contract in the the Ashton Woods neighborhood Oaks on Charlotte Drive. They are almost sold out. It does mean that there we may begin to see more new construction and new homes are like new cars - they smell good and people are willing to pay more for a new home with less square footage than resale homes. Let's wait and see what spring and summer bring for us. 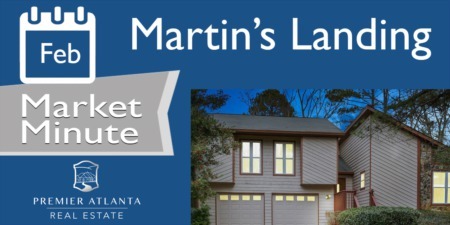 I think we've finally moved beyond "turning the corner" and have moved to a positive trending market in west Alpharetta/Milton.